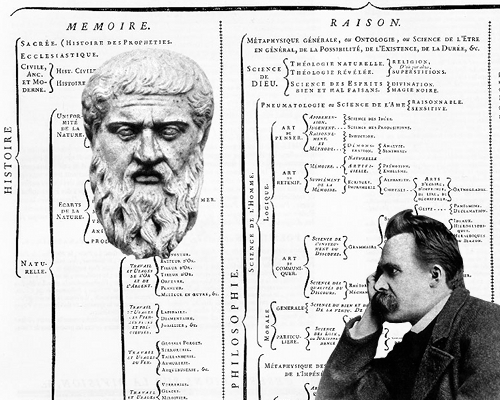 A collection of public domain philosophical texts, in their original languages. This would include so called ‘minor’ figures as well as well known thinkers. The project would bring together texts from multiple online sources – from projects like Europeana, the Internet Archive, Project Gutenberg or Wikimedia Commons, to smaller online collections from libraries, archives, academic departments or individual scholars. Every edition would be rights cleared to check that it could be freely redistributed, and would be made available either under an open license, with a rights waiver or a public domain dedication. Translations of public domain philosophical texts, including historical translations which have entered the public domain, and more recent translations which have been released under an open license. Ability to lay out original texts and translations side by side – including the ability to create new translations, and to line up corresponding sections of the text. Ability to annotate texts, including private annotations, annotations shared with specific users or groups of users, and public annotations. This could be done using the Annotator tool. Ability to add and edit texts, e.g. by uploading or by importing via a URL for a text file (such as a URL from Project Gutenberg). Also ability to edit texts and track changes. Ability to be notified of new texts that might be of interest to you – e.g. by subscribing to certain philosophers. Stable URLs to cite texts and or sections of texts – including guidance on how to do this (e.g. automatically generating citation text to copy and paste in a variety of common formats). Structured bibliographic data on public domain philosophical works – including title, year, publisher, publisher location, and so on. Ability to make lists of different works for different purposes, and to export bibliographic data in a variety of formats (building on existing work in this area – such as Bibliographica and related projects). Structured data on secondary texts, such as articles, monographs, etc. This would enable users to browse secondary works about a given text. One could conceivably show which works discuss or allude to a given section of a primary text. Structured data on the biographies of philosophers – including birth and death dates and other notable biographical and historical events. This could be combined with bibliographic data to give a basic sense of historical context to the texts. User profiles – to enable people to display their affiliation and interests, and to be able to get in touch with other users who are interested in similar topics. Audio version of philosophical texts – such as from Librivox. Links to open access journal articles. Images and other media related to philosophy. Links to Wikipedia articles and other introductory material. Educational resources and other material that could be useful in a teaching/learning context – e.g. lecture notes, slide decks or recordings of lectures. While there are lots of (more or less ambitious!) ideas above, the key thing would be to develop the project in conjunction with end users in philosophy departments, including undergraduate students and researchers. Having something simple that could be easily used and adopted by people who are teaching, studying or researching philosophy or other humanities disciplines would be more important that something cutting edge and experimental but less usable. Hence it would be really important to have a good, intuitive user interface and lots of ongoing feedback from users. What do you think? Interested in helping out? Know of existing work that we could build on (e.g. bits of code or collections of texts)? Please do leave a comment below, join discussion on the open-humanities mailing list or send me an email! This entry was posted in bibliography, digitalhumanities, history, humanities, ideas, intellectualhistory, openknowledge, projects, technology. Bookmark the permalink. Comments are closed, but you can leave a trackback: Trackback URL. A couple of the ‘other things’ sound like duplication of PhilPapers.org features. My immediate concern is that I already have to direct undergrad. tutees away from e.g. early translations of Nietzsche, partly because my instutition’s library insists on leaving some of them out on the shelves, but also because it’s the pre-Kaufmann translations which are in the public domain and easily found online (i.e. the ones Kaufmann complained about at length; and it’s not as though his own translations were uncontroversial). Promotion of those texts is problematic in a way which doesn’t apply to e.g. Jowett’s Plato, which is still widely regarded as academically serviceable. It’s helpful to know that they exist, but they’re of mainly historical interest. Maybe some sort of comment or even user review system would help (assuming a willing userbase); although given the recent controversy over the retranslation of Beauvoir, perhaps inconclusively so. Hey there, this sounds like a good initiative! I just wanted to point out a couple of possibly relevant projects/resources: http://www.discovery-project.eu/home.html and http://ec.europa.eu/informationsociety/apps/projects/factsheet/index.cfm?projectref=270904 cheers! How will the texts be presented? I ask as I’m looking at art history texts again, having done some work on processing them using R over the last year. If you wanted to start this project, why specifically would you not use Wikisource as your platform? What are the shortcomings of Wikisource, and what are the reasons that a new, separate project would do better?